Marcy Mock knows Amelia Island and the surrounding areas. She is a multi-million dollar producer with over twenty years' experience! She gets the job done! 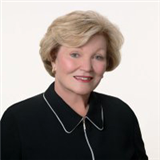 Marcy has been Amelia Island's NUMBER1EXPERT for years, and she sets the standard for excellence in real estate commitment. Her compassion, energy level and attention to detail will positively impact your buying or selling experience. Call or email Marcy today!! !